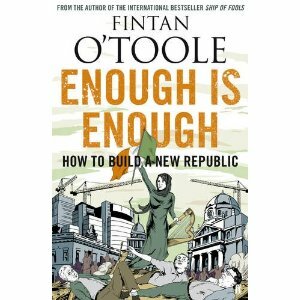 It’s a year on from Fintan O’Toole’s damning critique of the Celtic Tiger model of development in Ship of Fools and his analysis of the political and economic decisions that sailed Ireland onto the rocks. 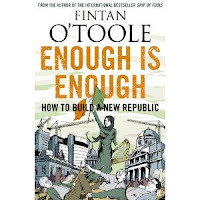 In Enough is Enough he turns his attention to what he sees at the core problems at the heart of Ireland’s present woes and what needs to happen to rebuilt a new republic fit for purpose in the twenty-first century. Split into two parts, in the first half of the book he argues that there are five myths that shape how Ireland functions – these are 1) that Ireland operates as a Republic, 2) that people are politically represented, 3) that the Dail functions as a parliamentary democracy, 4) that every decent service was delivered by charity and through the church rather than by the state, 5) that Ireland is a wealthy country. In each chapter, he reveals through polemical argument how each of these supposed truths are in fact self-delusions; that there is in fact deep flaws in the nature of Irish political democracy that require fundamental redress. In the second half of the book, he sets out five ‘decencies’ that should underpin the ideals of new republic. These are the decencies of security, health, education, equality and citizenship. In an appendix he sets out 50 suggestions for immediate actions. Enough is Enough is an engaging read. 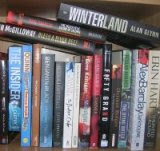 O’Toole writes with passion and at a level that is easy to follow. The argument is polemical and forceful, and he makes good use of sources and data to back-up his contentions. Perhaps unsurprisingly, it does feel a little rushed, but clearly this is a book trying to tap into and react to the zeitgeist. And he makes a convincing case that there are a number of problems with how the Irish political system functions and the ideals that underpin its operation that do need revisiting and revision. However, whilst he sets out the ways in which he would like reform, it is often at a quite conceptual or abstract level. Where there are specific suggestions, these often lack sufficient detail as to what changes would need to happen and their consequences. At a more general level, it is also not clear where the impetus and drive is going to come from to enact the kinds of changes he feels are necessary – it is certainly unlikely to come from the present political classes. In this sense, the book sets out a broad vision that provides a framing for a more detailed debate, but does not quite set out the road map he wishes for in his opening chapter, nor the mechanisms needed to shift citizens from the present map to his new one. More broadly, politics and ideals, only gets us so far. Building a new republic will not simply consist of reconstituting the political base of society and hoping all else flows from that process. It is clear, to me at least, that we also need to rethink the Irish economic model predicated as it is on a form of neoliberalism. In other words, the book would have been more powerful if it had been widened to re-envisioning the broader political economy of the country. Clearly, setting out such a new vision would have been a more challenging task, but one that we undoubtedly need to undertake. That said, the book is nonetheless an important and timely contribution to the on-going debate about Ireland’s future and it deserves to be read and debated.